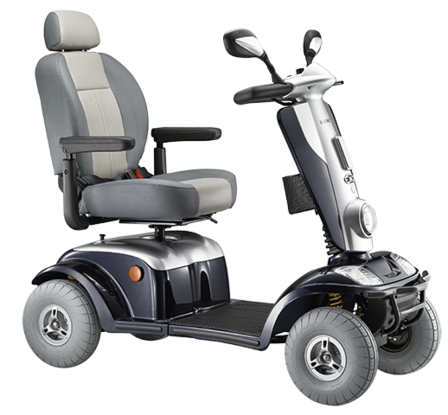 The Kymco Maxi XLS mobility scooter is an 8mph class 3 scooter with many luxury features. Fully adjustable front and rear suspension as well as battery-saving LED lighting make the Kymco Maxi XLS the ultimate in high performance and comfort even over rough terrain. The Kymco Maxi XLS is available in Cherry Red, Graphite Grey and Glossy Black.